Please join our colleague, Tama Murphy, at two Open Houses of our listings this Sunday 7/29/18. From 1-3pm at 35 Pleasant Drive in Southbury. A steal at $599,900! Welcome to this elegant, expansive 13 room colonial styled home in one of Southbury's most sought-after neighborhoods. Majestically sited on 2.5 acres with views of and frontage on a picturesue pond. Upon entering the grand 2 story foyer you are greeted by sun drenched living & dining rooms each featuring quadruple windows crowned with transoms. The extraordinary gourmet kithen features a ten foot island, abundant cherry & granite cabinets, all the bells and whistles. The kitchen flows both into a family room with wet bar, fireplace & also into a light-filled sunporch. The master bedroom offers 2 walk-in closets, luxurious bath. One of the bedrooms is perfectly set up to be an in-law or au paire. 3 car garage, finished walk-out basement. 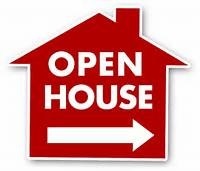 From 3:15-5:00pm at 146 Heritage Village, Unit# B, Southbury, CT 06488. $174,900 POSITIVELY THE BEST AND MOST DESIRABLE LOCATION FOR THIS "NO STAIRS" SINGLE LEVEL RANCH STYLE COUNTRY HOUSE MODEL. Two bedrooms, 2 full baths, light, bright, open and airy living area with sliding glass doors leading to a tranquil and private patio. You'll love the spectacular distant views of golf course greens and a picturesque pond. Tasteful landscaping in front and back yards. TRULY A PIECE OF PARADISE! There's a perfectly level and short approach to your garage. Talk about carefree and maintenance free living!! Many upgrades and improvements throughout. Master bedroom has an extra built in closet plus dresser, an extra large medicine cabinet. Another bonus feature in this condo is a full floored attic storage space easily accessible from pull down stairs. Additional features include wood-burning fireplace, built-in bookcases, eat-in space in the kitchen. All pristine and move-in ready. This 55 plus community offers 4 inground pools, 3 clubhouses,woodworking barn, art/pottery studios, garden plots, library, 86 clubs, minibus,paved walking paths, 3 golf courses. Complex is only one mile away from shopping, restaurants, and all services.